Central Sulawesi was hit by an earthquake and tsunami on September 28th, 2018. 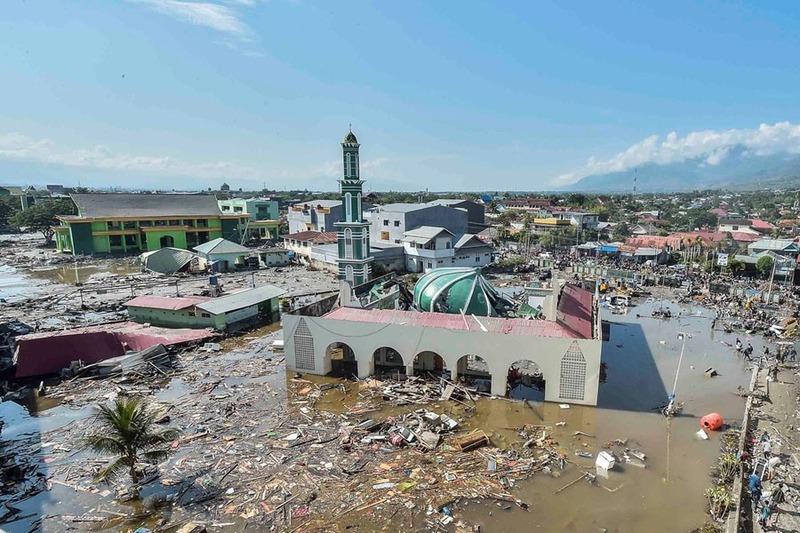 While Indonesia is known to be hit by major earthquakes, this disaster is different: the death toll currently stands at almost 2,000 with more than 5,000 suspected to be missing, and it is on track to be the worst disaster earthquake-tsunami since the 2004 Indian Ocean disaster. More concerningly, the earthquake hit less than two months after the Lombok earthquake, which killed 500+ people and displaced the other hundred thousand. While I have never started these kinds of fundraising previously, the scale and the proximity of both earthquakes left me in shock. What is worse, some of the deaths could have been prevented if the early warning systems, which have been broken and stolen for years, worked. This fundraising serves to help non-Indonesians who have little idea how to donate to the victims (i.e. not knowing which organisation is reliable). All the funds will be channelled to Aksi Cepat Tanggap Indonesia ( https://act.id/), a leading Indonesian-based humanitarian relief organisation established since 2005. I have closed the donation for this campaign. Massive thank you for everyone who has participated! If you wish to continue supporting the victims, please do not hesitate to donate by yourself to ACT ( https://act.id/) or Indonesian Red Cross. I am delighted to inform you that I have already transferred the second wave of the fund (Rp 2,250,000 or around AUD 207) for Lombok earthquake relief. The value itself is around AUD70 less as GoFundMe charges a 5% platform fee on top of 2.2% processing fee and $0.3/donation for Australian campaigns starting before October 8, 2018 ( https://support.gofundme.com/hc/en-us/articles/203604424-Fees-on-GoFundMe) -- apologies for not clarifying this matter earlier. I am pleased to announce that the first batch of the fund has been donated to ACT for the relief efforts in Central Sulawesi. The amount itself totals Rp 8 million (~AUD740). I will post another update once the remaining fund (around Rp 3.25 million) has been donated for Lombok relief efforts. Massive thank you for everyone who has contributed to this campaign! p.s. 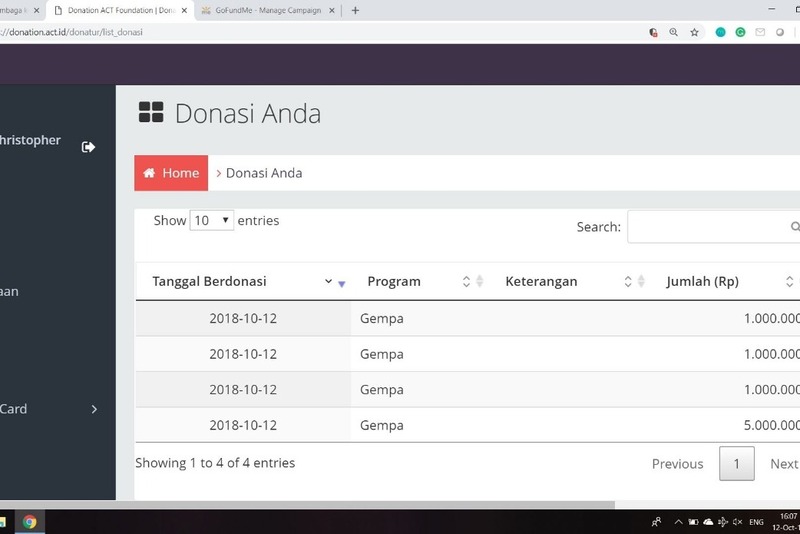 unfortunately, the dashboard is in Indonesian and the GoFundMe platform is not able to post the entire screenshot.